Take a walk in a firefighter’s boots… You are given an address in the Canyon. Not an address you know well, and more than likely an address you are not familiar with. You are asked to get to this address in minutes, where every minute counts. You have nobody to ask for directions when you are in the area, it could be the middle of the night. Mailbox numbers might be covered by snow. It might be snowing now with visibility reduced, driveways obscured. Despite all obstacles you need to get to the correct door on the correct building down the correct driveway, and quickly. Remember … every minute counts. It doesn’t count a little bit, it counts in terms of life. Life of a loved one experiencing perhaps their worst day. Every minute is critical. 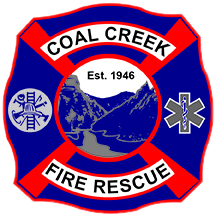 Reflective address markers help first responders navigate to emergency scenes quickly and regularly save CCCFD minutes in response time to an emergency. Reflective address markers can make the difference. We have multiple locations in the Canyon where reflective address markers are missing yet are desperately needed. Be proactive and order one before it’s needed for an emergency. We’ve even heard many people say they’ll add reflective address markers after firefighters have been to their home for an emergency, but then not get to it. Make time now to save much more later. It hurts responders hearts to know that avoidable delays will occur. Loved one could miss the critical care needs they have by minutes that can not be reclaimed. 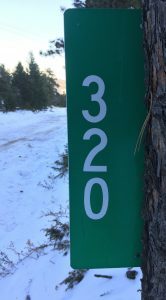 If you live in the mountains you need reflective address markers for your family, and for yourself.